I’m having fun playing around with the Children at Play collection. 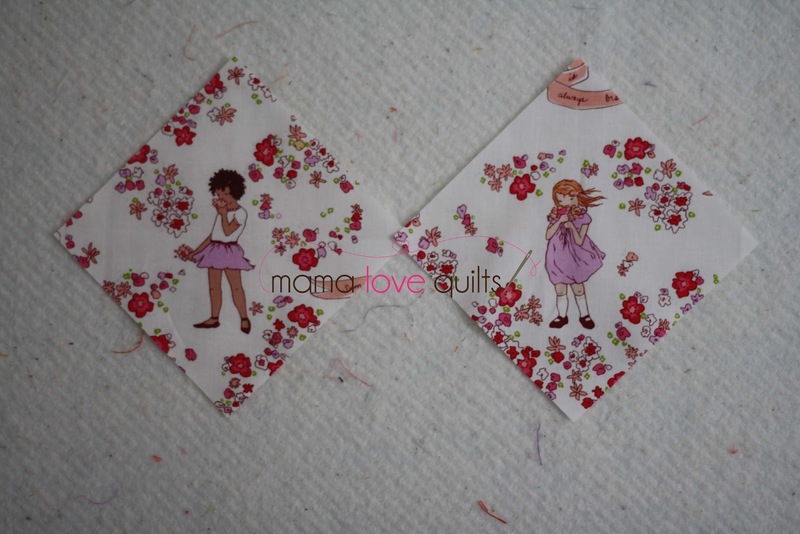 With all the cute images, it’s as if the fabric was made for fussy cutting. I fussy cut the squares that will be the center of the Megan’s Star block. I’m going to make 12 blocks – 6 of them will be the girls playing. but then I found this fabric at my LQS this weekend. So I’ll be adding in these two girls. I couldn’t resist fussy cutting a little bit more for the triangles. These triangles might be my favorite part of the quilt! I ordered a few more prints from the collection, so now I must be patient and wait for the UPS guy to knock at my door. By the way, if you’d like a chance to win an EZ Dresden ruler and haven’t yet entered my giveaway, click here. You’ve got until today at 9 p.m. EST! Good luck! "Just Stay Little" brings a couple tears to my eyes. My baby just graduated high school and now all three children are oh so grown. Lol, they haven't left home yet, but no more "little" ones here. That quilt is going to be so very sweet. I do have grans that need quilts! Lol! I absolutely love these blocks, Nicole. They are SO sweet! Oh those last two girls are adorable! 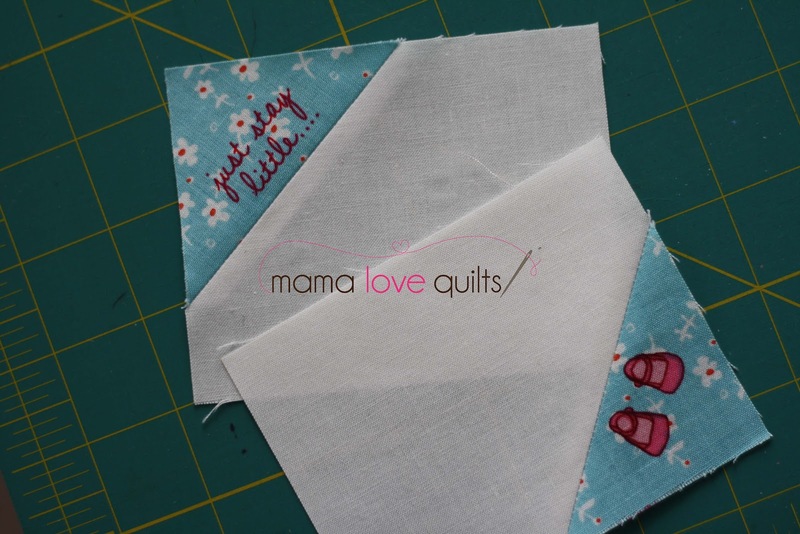 And what a great idea to do some fussy cutting for the corner triangles. I kept getting a bit muddled up with my corners when I used this block but I got there in the end! Really adorable! I love all the fussy cutting, especially those little red shoes. 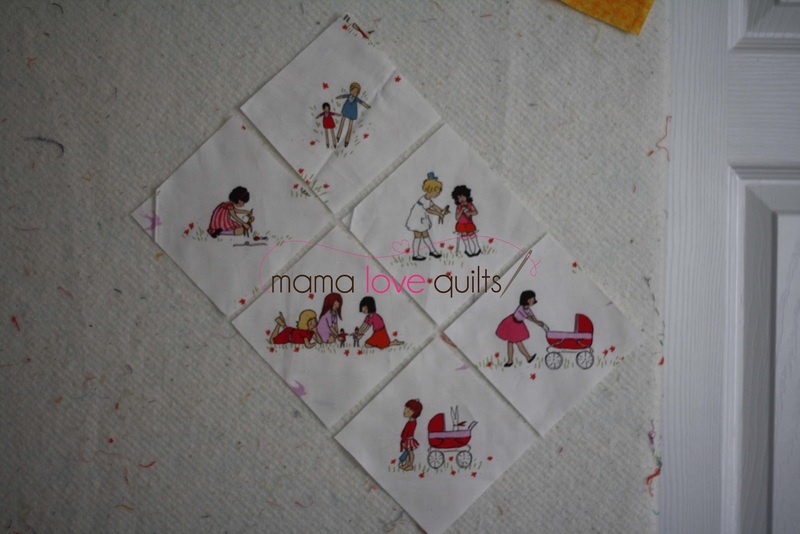 What a cute quilt this is going to be! 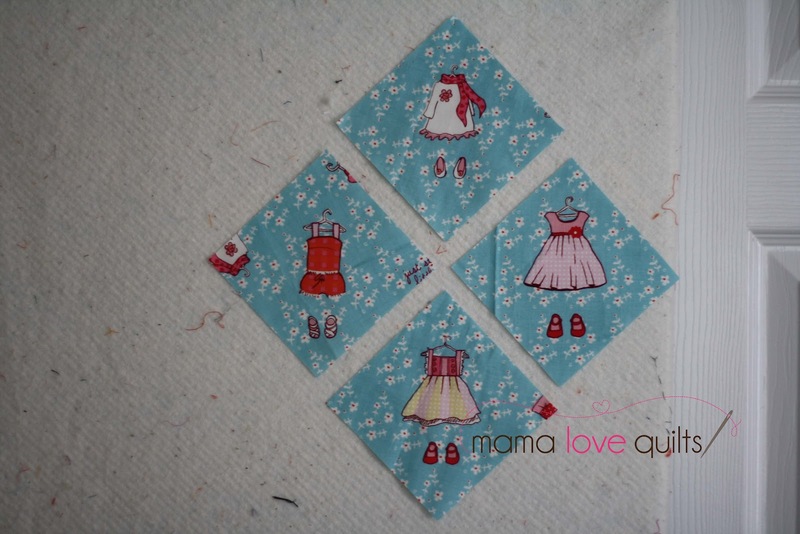 This is going to be one cute quilt!! Gosh! So cute!!! I love the triangle too…. just stay little with the tiny shoes! I cannot wait to see the finish product! Cute blog header, btw. I love children at play too – this will be beautiful!